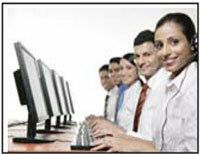 Students who come from out station are provided hostel facilities at a very nominal cost. They are different hostel for girls and boys. 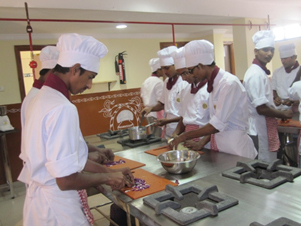 The Hostel warden is responsible for the student's safety health food and hygiene. They are mentors who are coordinating with the Warden about the well-being of each student. Late nights and getting into fights is dealt severely by the College students are expelled or strict action is taken against them. A very well stocked library which comprises of all Management Books and pertaining to the syllabus and additional information books. As English is the core of any Management acceptance in the corporate World lot of books on English are provided. Newspapers also are well stocked from general dailies to Business News of the best Newspapers available. SUN has a placement cell to look after students Industrial Training, Placement / Campus Interview etc.To keep track of the current status of our ex-students and to record and maintain their needs and comments.To build and maintain good relations with the industry, inviting hotel groups for campus interviews, getting feedback on our student's performance etc. He is associated with the Institution as Manager-Admin&Finance and as Adhoc faculty. He has over two years of academic experience and specialized in Risk Management and Business Laws. He is pursuing Masters in Law in the branch of International Trade and Economic Laws. He has over 25 years of varied work experience in the areas of Finance and Law as a consultant and lawyer and as an independent contractor with AIG group in UAE providing insurance and financial services. Ravikiran has good 20 years of academic record of Economics ,Marketing & Finance .He has handled all the core Financial Subjects like Fin. Accntng.,Taxation, FM, Financial Services & Marketing Subjects.He is associated with SUN since 4 years. 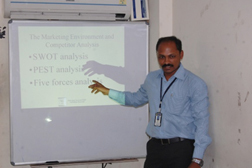 He is a post graduate from Andhra University ("Masters in Computer Applications"). He has 17 years of experience in the hotel industry. He is specialized in Food and Beverage Service and presently heading a responsible position as Principal and head of the department of Hotel Management (Theory). He has successfully conducted study tour for about 30 students to Bangkok and Pat Taya, and He even handle various computer subjects for the management students. He says that SUN enhances to work more in an innovative way. He is a Post graduate (M.Sc. IT) from Andhra University. He has done Diploma in Computer Science Engineering; He holds International certification from MICROSOFT and CISCO. He worked as a Director for Sai Network World (Internet Service Provider) from 2001-2003.